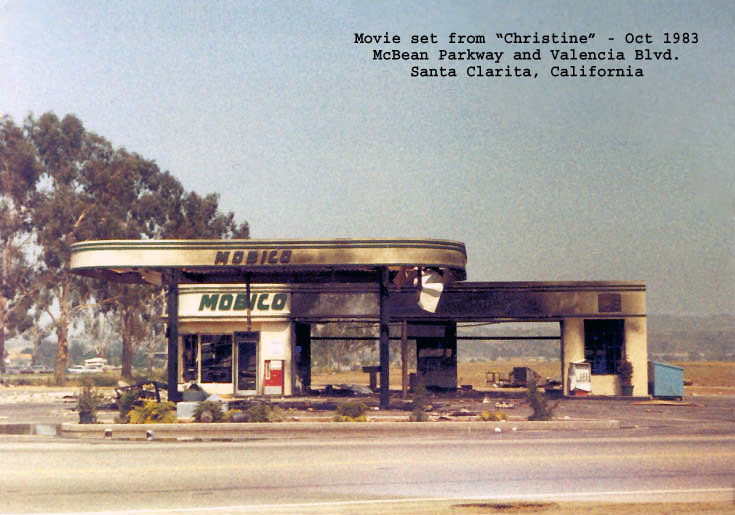 Gas station set from Columbia Pictures' "Christine" (1983). Contributor Jon Lewis writes: "Various scenes of the film were shot around Santa Clarita including Valencia Liquors on Lyons Avenue and a stretch of Magic Mountain Parkway. A full-size gas station set was constructed (garage bays, gas pumps) on the southeast corner of McBean Parkway and Valencia Boulevard (where the Corner Bakery is today). The night before the photo was taken, the gas station was blown up. The photo was shot looking northeast toward Saugus."